Some great things have come from New Jersey. Frank Sinatra, Bruce Springsteen, Bon Jovi, Whitney Houston, Ripping Corpse… and Kelly Barber. 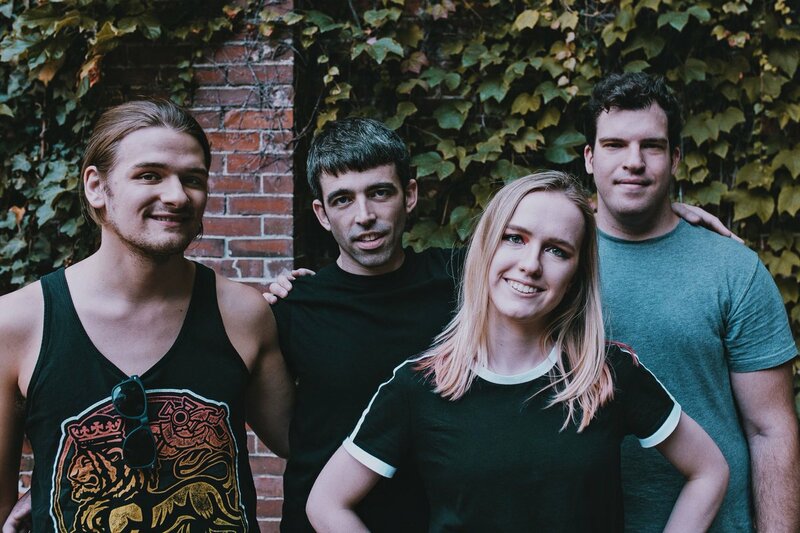 Wave Break is an alternative rock band based out of Boston, Massachusetts fronted by Bridgewater, NJ indie darling Kelly Barber. As a solo artist Barber garnered a respectable following in the wider New Jersey region and she was bound to connect with a bunch of like-minded musicians. Wave Break is the result of just such an aligning of stars. 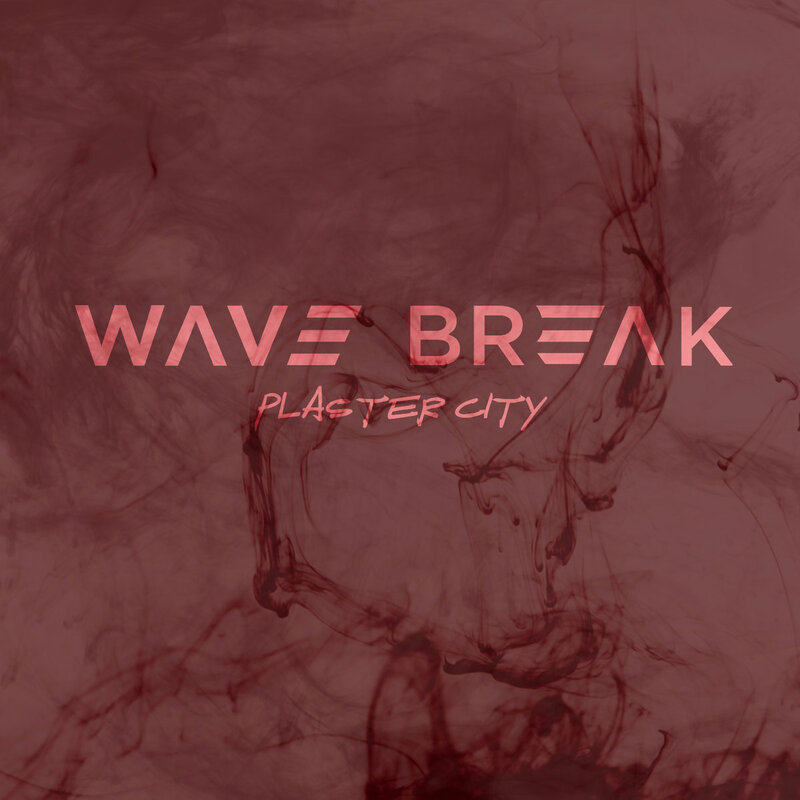 If this single is anything to go by, Wave Break is obviously finds itself in the indie and alternative realm while maintaining the smooth pop edge of Barber's solo ventures. As a solo artist Kelly was pretty much headed into this direction as early as “My Own Contradiction” but especially with the promising “Breaking Barriers” EP and its follow-up single “If You Were Awake”. Wave Break puts rock back in alternative rock and infuses it with a helping of pop sensibilities. Wave Break pretty much is Kelly’s band as it is. ‘Plaster City’, the lead single of a proposed full length album, builds upon what Barber had been doing as a solo artist but puts far greater emphasis on the alternative rock aspect. And for the better too. Kelly’s voice sounds the most optimal when put to some hard rocking tune. ‘Plaster City’ merges the pop sensibilities of early Avril Lavigne with the almost clinically produced, hook-laden alternative rock of Paramore (circa “Brand New Eyes”) and Blink-182. 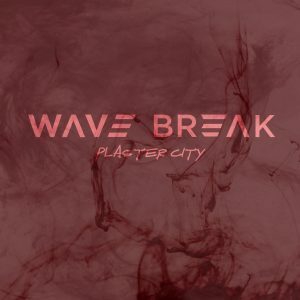 Wave Break doesn’t put its eggs in just a single basket and they tread the fine line between lighter alternative rock and finely tuned, smoothly produced and slightly more muscular pop-rock. It surely is a delicate balancing act between the crunch of the guitars and Barber’s ever so fragile vocals. It’s good to see Kelly branching out a bit here and going for a slightly more aggressive and jugular vocal style, although these things are, of course, relative. The pop punk descriptor is something of a misnomer as far we’re concerned. Wave Break is as as punk as Avril Lavigne and Blink-182, which wasn’t a whole lot to begin with. Pop-rock seems to cover most of their sound. Wave Break is definitely more alternative than, say, California's Polaris Rose or acts of similar ilk. All of which doesn't stop Wave Break from having written a stellar example of a hook-based pop-rock song. Hopefully the album will be able to live up to the initial promise of this single. As for Kelly herself. You can’t keep a good woman down. Kelly has come a long way since “My Own Contradiction”. As a solo artist Kelly was pretty much headed into this direction with the promising “Breaking Barriers” EP and its follow-up single “If You Were Awake”. In comparison to Barber’s solo ventures Wave Break is a more hook-based affair with some powerful riffs and Kelly’s vocals, fragile as they tend to be, come across a bit more mean-spirited and spitting venom due to more muscular framework she’s surrounded with. Wave Break isn’t some profound sea change for Barber, even though the sound is slightly more muscular than her solo material, and it’s exactly the sort of project she was destined to front. Which doesn’t mean that Wave Break is but a mere sum of its parts. Every part is stellar in its own way, but there’s not a shred of doubt about the fact that this is first and foremost Kelly’s show. ‘Plaster City’ has the makings of a radio single, and it should work as such especially in her native America. Given the necessary streamlining Wave Break should be able to cross the Atlantic and find an audience for their wares in the Old World. Europe loves just the type of music that Kelly plays, definitely. So where does that leave ‘Plaster City’ and the band that wrote it? It pretty much sits at that fork in the road between smooth guitar-oriented pop and a softer incarnation of alternative rock. Judging from this single Wave Break could go either direction in what is either its greatest asset or biggest pitfall. Personally we hope Kelly and her men decide on increasing the rock aspect of their sound as Barber’s sweet musings tend to blend in with a more poppier approach. The contrast between the rock instrumentation and Barber’s pop vocals is what ultimately sells Wave Break as a band. ‘Plaster City’ isn’t some great invention of the genre, but rather a reconfiguration that appeals to fans on both ends of the spectrum. It wouldn’t hurt Wave Break to crank up the guitars and bass and have Kelly write/sing about a subject really dear to her heart. As The Boss once wrote, “You can't start a fire without a spark” and the spark is definitely present on ‘Plaster City’. We’ll anxiously await when Wave Break decides to put the flame to the fuse – and when they do, there’ll certainly be plenty of fireworks. 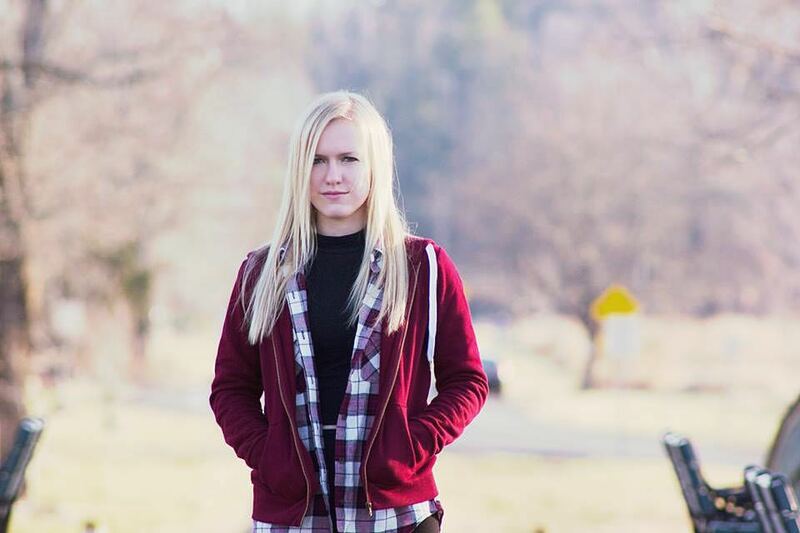 Kelly Lynn Barber is an up-and-coming singer-songwriter from Bridgewater, New Jersey. “Breaking Barriers” is the follow-up to Barber’s 2014 debut EP “Cold Reality”, that was custodian to the internet hit single ‘My Own Contradiction’. 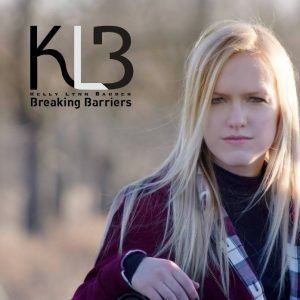 “Breaking Barriers” is a loosely conceptual release about overcoming adversity, personal limitations and - problems by finding strength in one’s own self. Even if the music is somewhat indistinct it are Kelly’s vocals and lyrics that form the main attraction. Barber plays a brand of alternative pop, a convergence of alternative rock with elements of indie rock and pop punk. “Breaking Barriers” is indebted equally to artists as Michelle Branch, Kelly Clarkson but also early Coldplay and in lesser degree Seattle grunge. 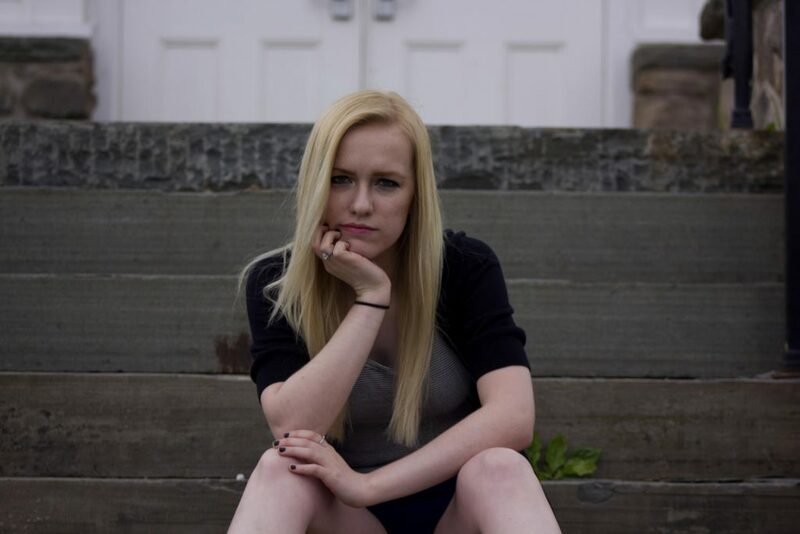 Kelly Lynn leans more towards a readily pop oriented direction in comparison to fellow New Jersey indie singer Karousel. Overall Barber’s music is closer to Branch’s independent debut “Broken Bracelet” than any of her later more poppier material. As a general rule Barber is at her best at her most straight up rocking. Towards the end of the EP Kelly Lynn allows her soul to truly shine through in the final song. “Breaking Barriers” offers up a good cross-section of Barber’s various influences while retaining its pop polish. The EP opens with ‘Done with You’, the lead single about liberating oneself from toxic social elements, where Barber combines the lush production work of “Brand New Eyes” Paramore with Michelle Branch song craft. 'Eventually’ is the catchiest and most immediately accessible of the bunch. ‘Tearing Me Apart’ opens with a Nirvana-like riff. ‘What I Had Planned’ sounds like an early Coldplay song. The more rockier numbers tend to have a light grunge undercurrent. The songwriting on “Breaking Barriers” is rather subdued for the most part, and sidesteps big choruses and earworm hooks when it can. The concluding ballad even pulls slightly in a Lene Marlin direction, which is a direction that begs further exploring. Kelly Lynn has an incredibly fragile, breakable voice that makes her life-affirming, self-empowering lyrics all the more resonating. Barber shortsells herself somewhat by remaining within a mid-to-low register for the entirety of the EP. Her delivery is one of her strongest suits, as it is both honest and emotive. It probably wouldn’t hurt if she’d put some power behind her vocals. Kelly Lynn is at her best vocally towards the end of ‘Eventually’ and during ‘Discord’. The quieter songs, notably tracks as ‘The Last Time’ and ‘Discord’, help sell Kelly Lynn’s vocal abilities. ‘Discord’ is the requisite ballad, and its minimalist composition allows Barber to show what she’s truly capable of. For this reason alone ‘Discord’ is a definite highlight of “Breaking Barriers”. “Breaking Barriers” was recorded at Fresh Produce Studios with Jake Detwiler producing. As is the expected norm in pop the production is airy, bass-heavy and incredibly smooth. Rather strangely it puts more emphasis on the instrumentation than on Barber’s vocals, the very thing that is supposed to sell the record. Despite the odd choice in production, Kelly Lynn is able to hold her own. In February 2015 Kelly Lynn Barber announced that she was changing her artist name to reflect a change in musical direction. She reintroduced herself as Kelly Sirko, adopting her mother’s maiden name.